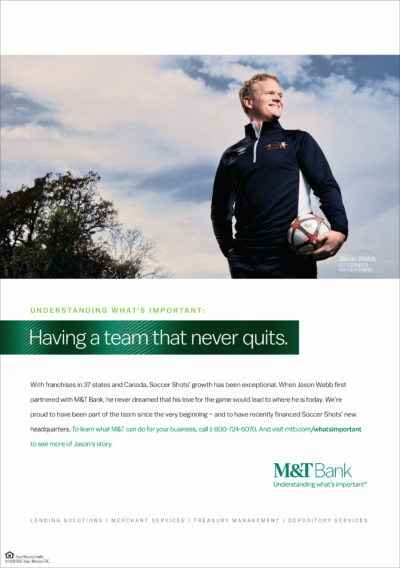 We’re proud to announce a new round of TV spots and print ads for our client M&T Bank celebrating the successes of some of their customers. 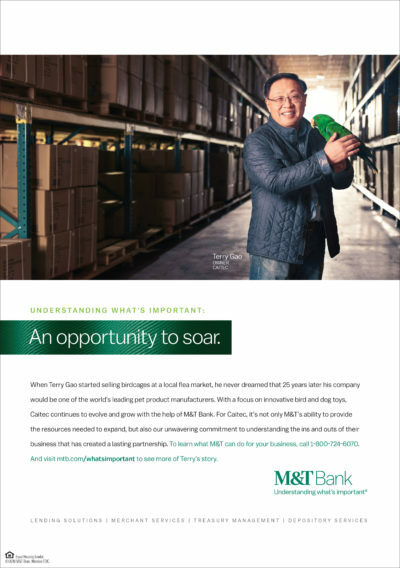 Working with the bank, we identified subjects with the most unique stories to tell – from a Chinese immigrant making bird and dog toys to a truly remarkable all-girls school in Baltimore. We then set out across WNY, Pennsylvania, and Maryland to document each one. 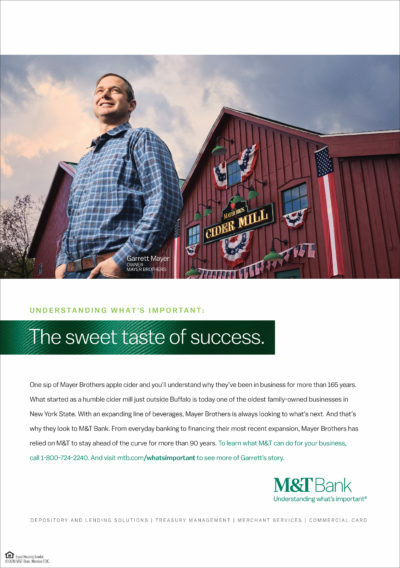 The result is a campaign that’s visually compelling and delivers on our “Understanding what’s important” theme. The eight TV spots were shot by Washington Square Films director Joshua Weinstein. Weinstein, whose work has been shown at Sundance, is a born and bred NYC filmmaker who brings a gritty realism to his work. The photos for the print ads were shot by Buffalo-based photographer Luke Copping. 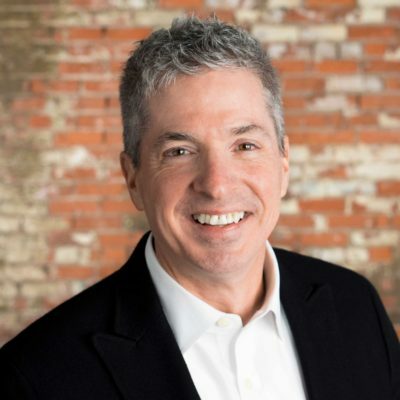 The campaign and its Super Bowl launch were recently detailed by the Baltimore Sun.